Sometimes silly and random; sometimes sophisticated and feminine – always stylish! That’s Emily Elizabeth’s work in a nutshell. 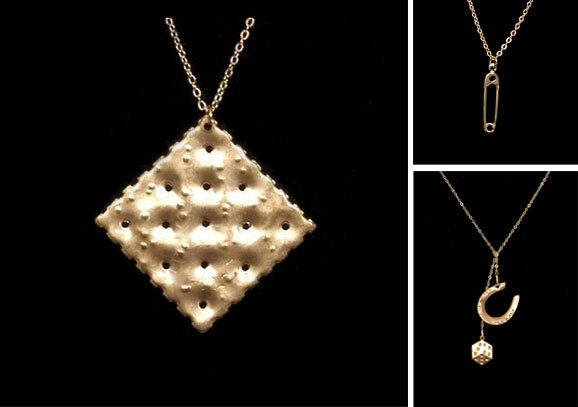 My absolute favorite has got to be the Saltine Necklace ($24), but it’s hard to choose since they’re all so silly and delicious.